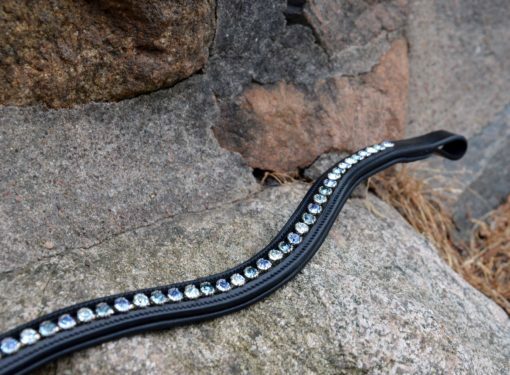 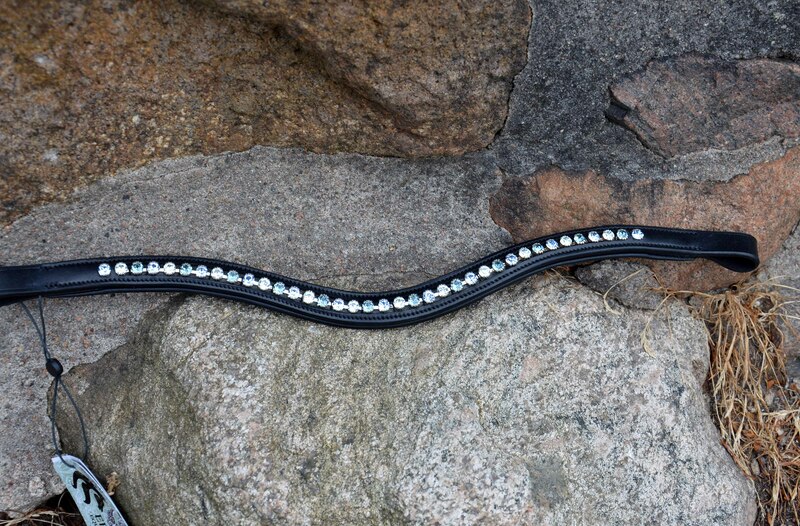 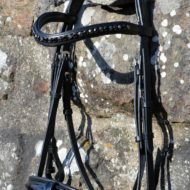 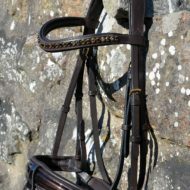 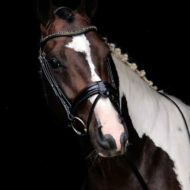 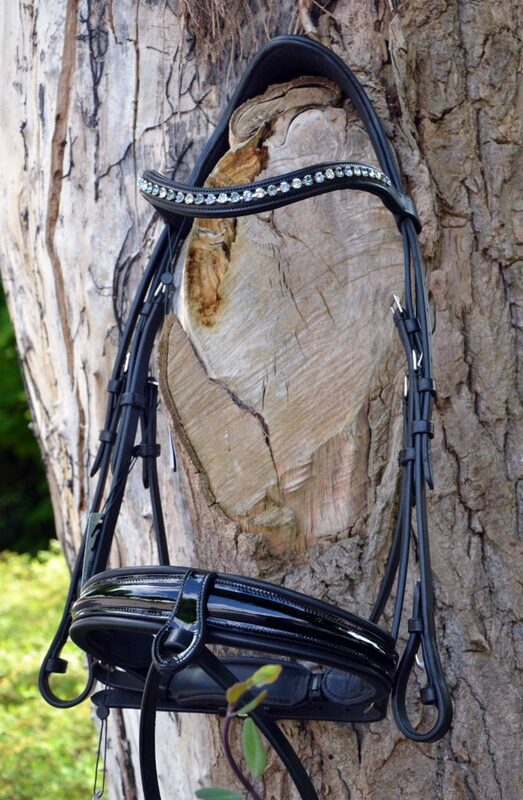 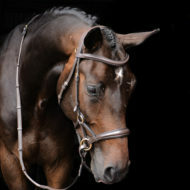 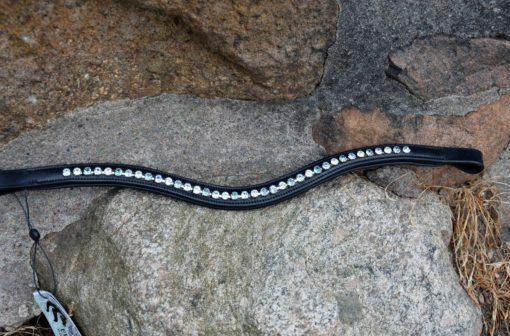 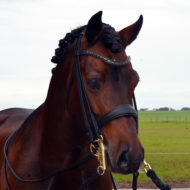 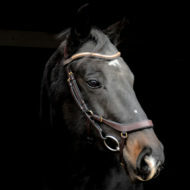 This dressage bridle is adorable and part of our ” Sea Glass” collection. 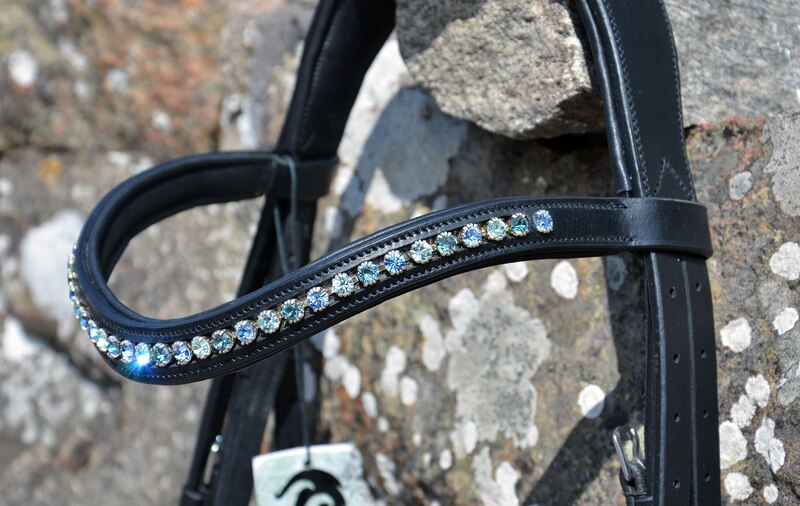 This collection includes the Robin’s Egg blue Bamboo breeches, Sea glass Quick Dry shirt, Bamboo sparkle Quick Dry saddle pad. Black anatomical crown piece richly padded with Frost Swarovski Crystals. Summer Frost is a combination of blue shades that are very sophisticated. 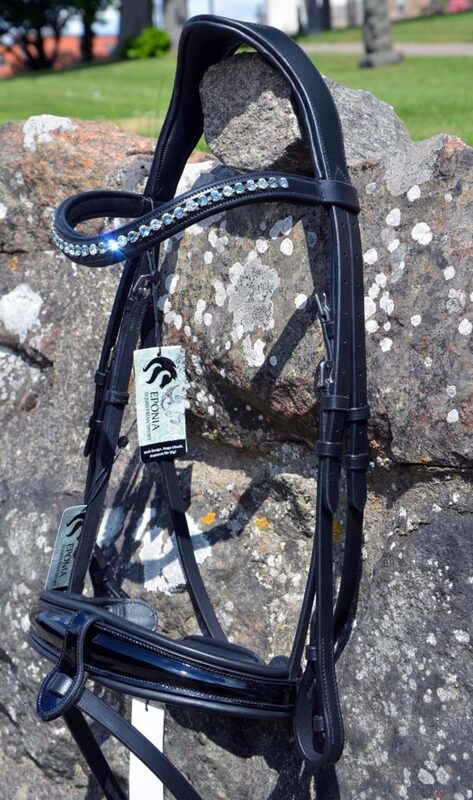 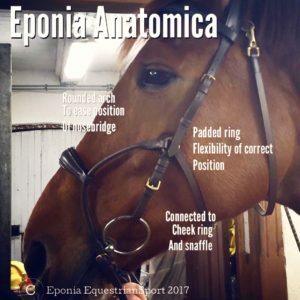 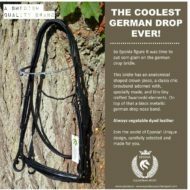 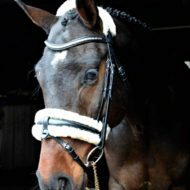 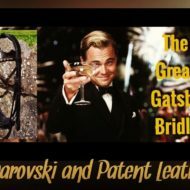 It comes with our noseband with special made flash and attachment that can be worn 3 different ways-over, under or not at all! 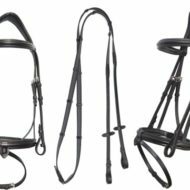 These come with the webbed non-slip reins.